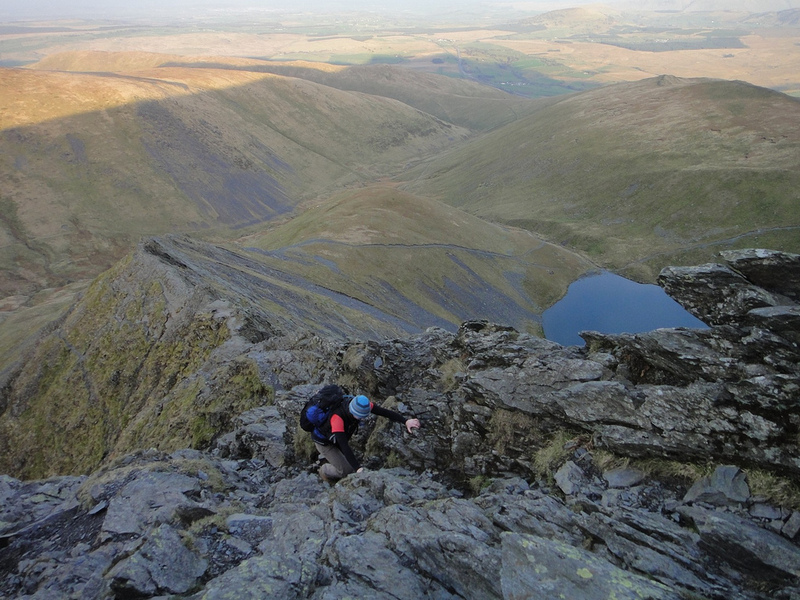 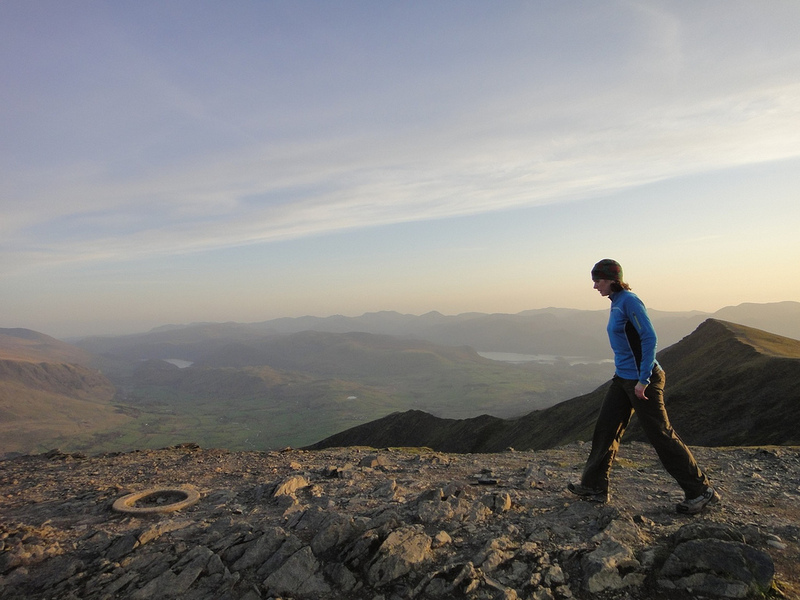 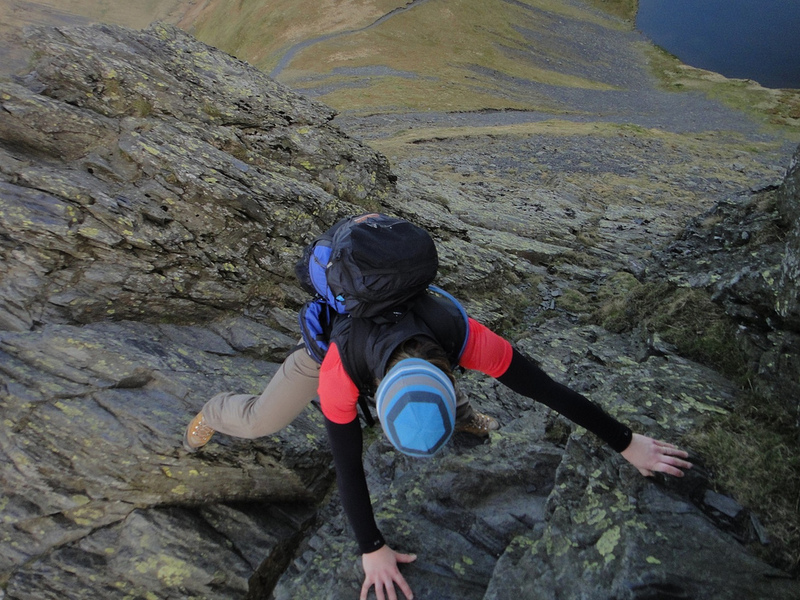 Blencathra is our favourite mountain in the Lake District for a number of reasons. The first is the view off the top is unbelievable giving you a vista of the solway and Scotland, Derwentwater, Thirlmere as well as the High Street and Helvellyn range. 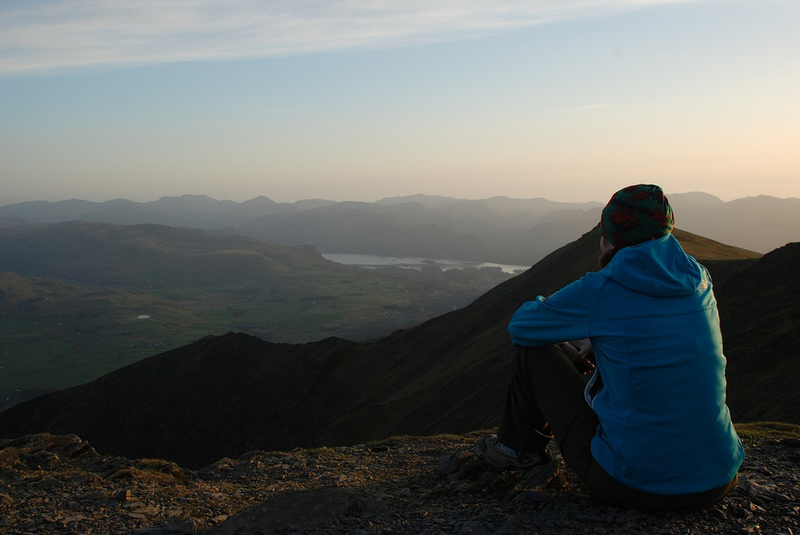 In the summer the sunsetting behind Skiddaw is another reason to love the mountain. We usually walk Blencathra as an after work stress relief as we usually have the mountain to ourselves. On this day we decided to walk from Mousthwaite Comb up to Scales Tarn and scramble Sharp Edge to the top. 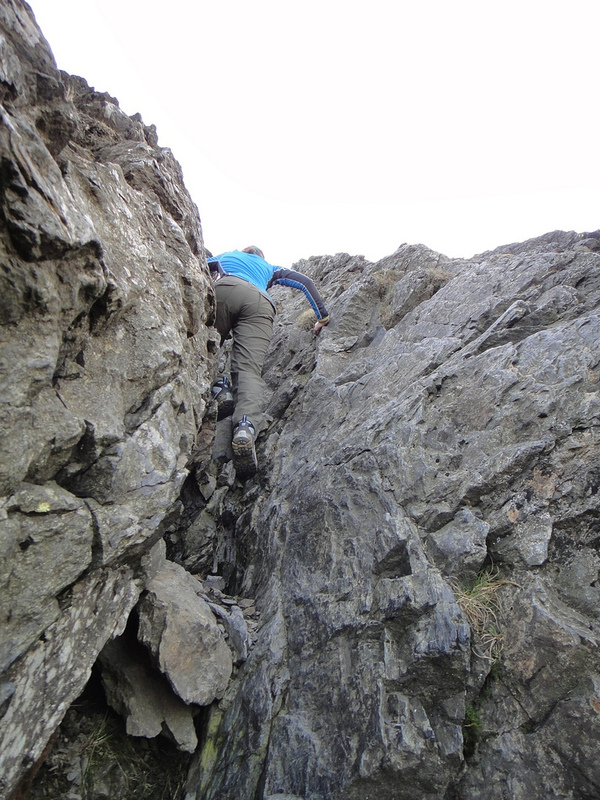 The walk up Mousthwaite Comb is quite steep until the saddle. 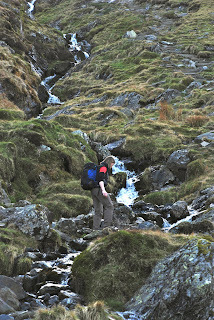 The path rounds the Glenderamackin Valley before heading up towards Scales Tarn. 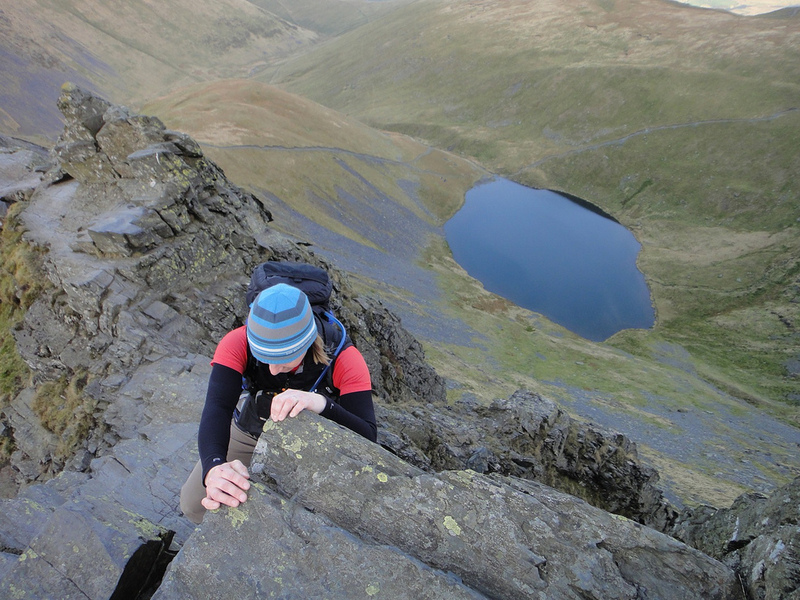 A quick break at the tarn to admire the view before making our way up to Sharp Edge. 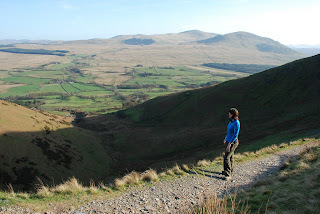 The walk up is very steep but the view is excellent throughout. 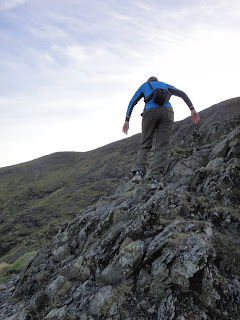 The ridge itself feels quite exposed at times but with care can be negotiated with little problem. 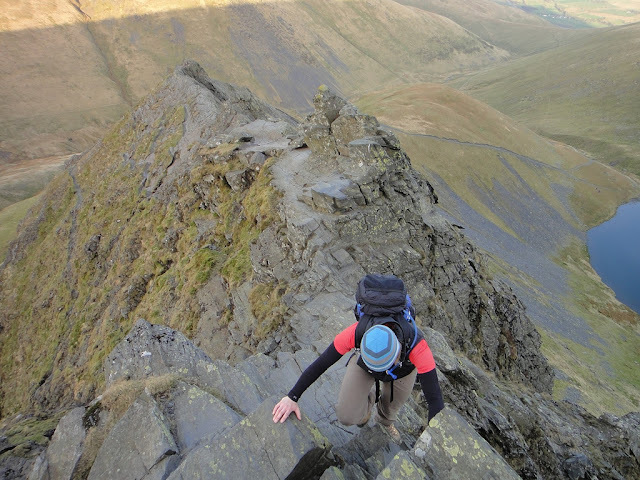 There are many photo opportunities on the ridge although it is important to keep your wits about you at all times! We have a great view of Blencathra from our house so it was time to reverse the view and look over Blotting Raise and the Pennines. 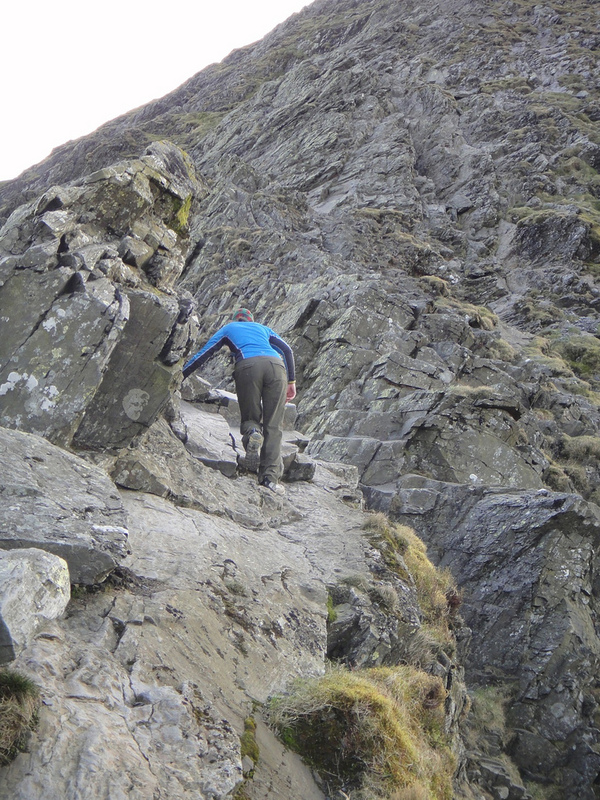 It wasn't long before we were at the end of the ridge and ascending the gulley. 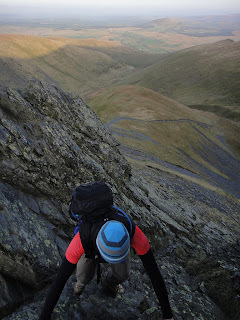 The walk to the summit gives you a great view back down to Scales Tarn. 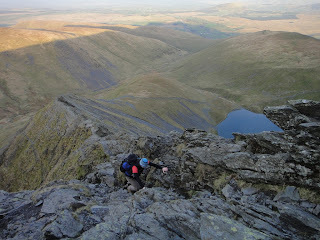 The view off the top as mentioned before is totally worth the walk and scramble. 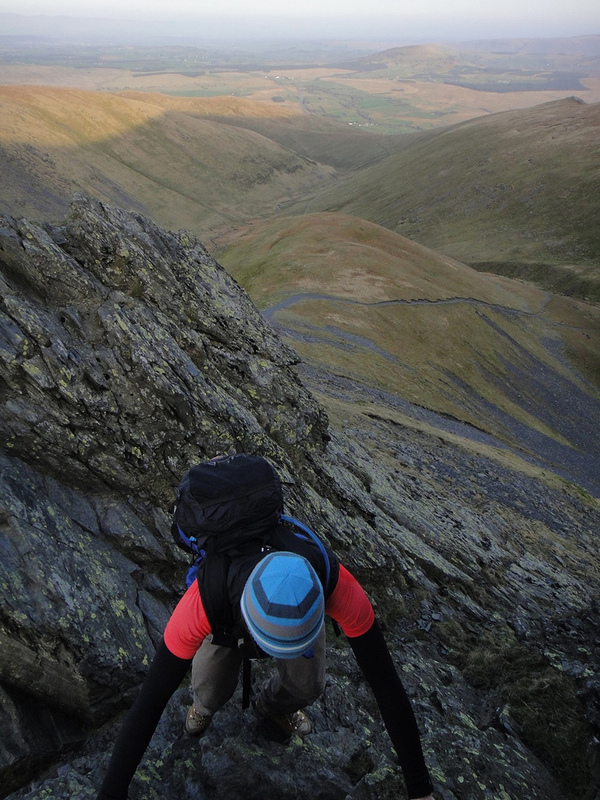 The sun was soon setting and it was time to make our way back down the manufactured path to Mousthwaite Comb. 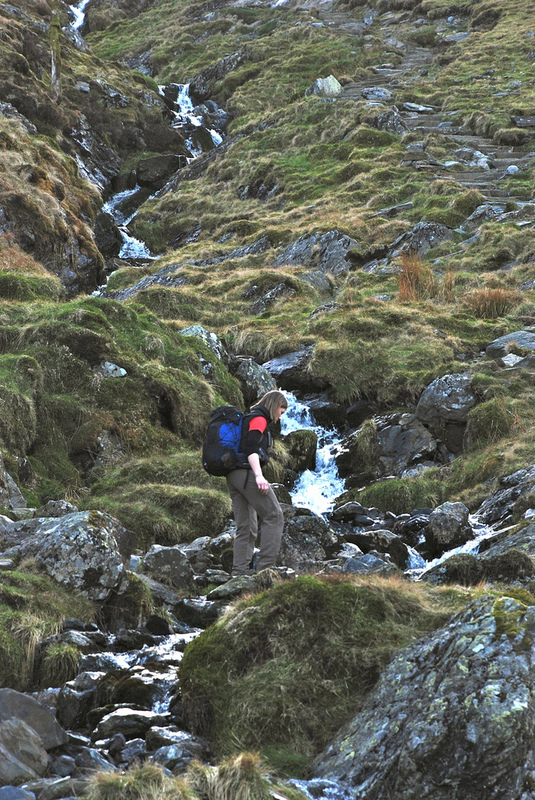 Another enjoyable descent up arguably one of the most exciting and picturesque fells in the Lakes.